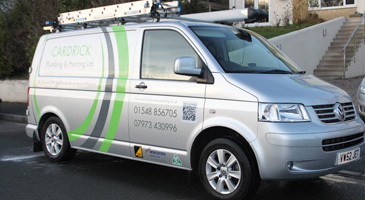 Cardrick Plumbing & Heating shares the ideals of the Bosch Group, which are founded on quality, value and reliability. 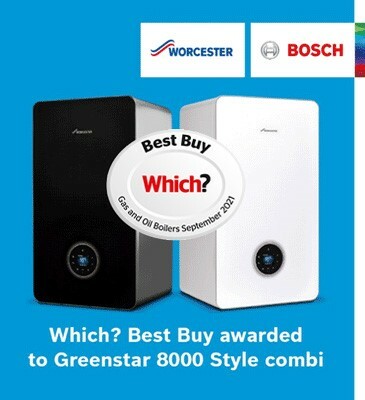 Only Installers who are of this elite standard are entitled to offer our customers an EXCLUSIVE 6 year warranty on all Worcester Greenstar gas or oil fired boilers, subject to an annual service. We are fully insured and all work undertaken, no matter how small, will carry a 1 year labour and 1 year parts guarantee to give peace of mind. 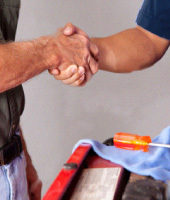 Even when we replace worn or broken products, using genuine manufacturer parts, we pass the warranties on to you. By treating all of our customers to the service they should deserve we intend to build upon our reputation as a company that can be trusted. However, by far the greatest service we can offer is to give you an UNSURPASSED 6 YEAR GUARANTEE when we install a new gas fired Worcester boiler into your home. 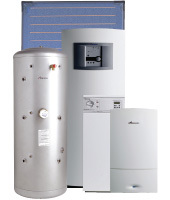 Our Services: air to water heat pumps, boiler installation, boiler repairs, burst pipes, central heating installations, gas safety inspections, energy efficient advice, general plumbing, ground heat source pumps, heated towel rail fitting, hob & gas oven fitting, immersion tanks, replacements & repairs, kitchen sinks & waste disposals, landlord safety certificates, leaks, overflows, power flushing, pump repairs, replacement radiators, saniflos, shower & bathroom fitting, solar heating, solar panels, tap fitting, replacements & repairs, toilet fitting, underfloor heating installations, unvented hot water cylinders, washing & dishwasher machine fitting. Areas we cover: Brixham, Dartmouth, Ivybridge, Kingsbridge, Paignton, Plymouth, Torquay, Totnes. Postcodes we cover: TQ1, TQ2, TQ3, TQ4, TQ5, TQ6, TQ7, TQ8, TQ9, TQ10, TQ11, PL7, PL8, PL9, PL21.